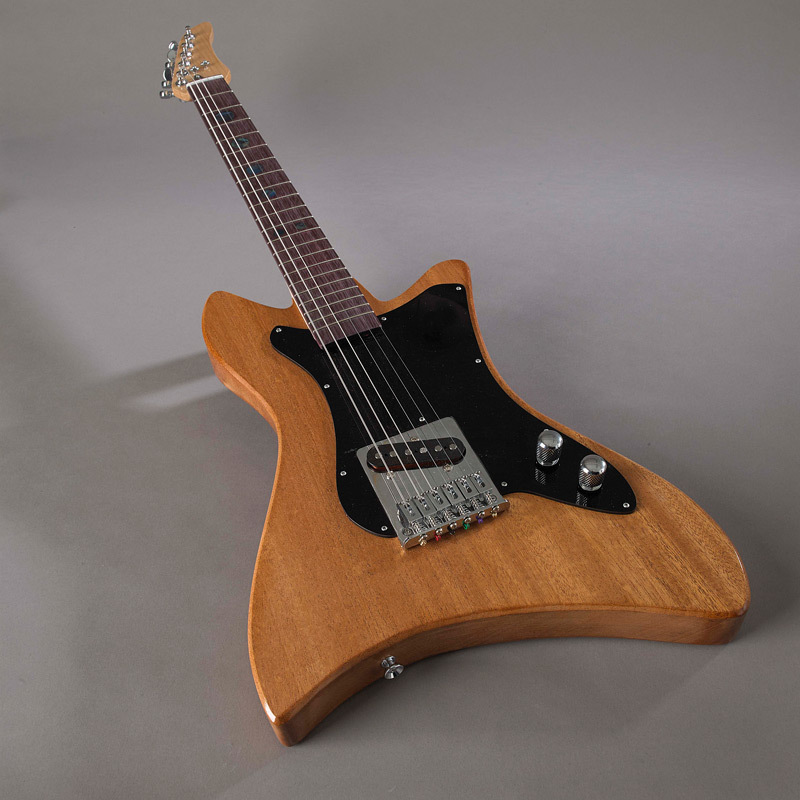 Motivated by an interest in technical and hands-on projects, this guitar was part of an intensive design process, starting with a cigar box guitar study to explore the basics of guitar design. 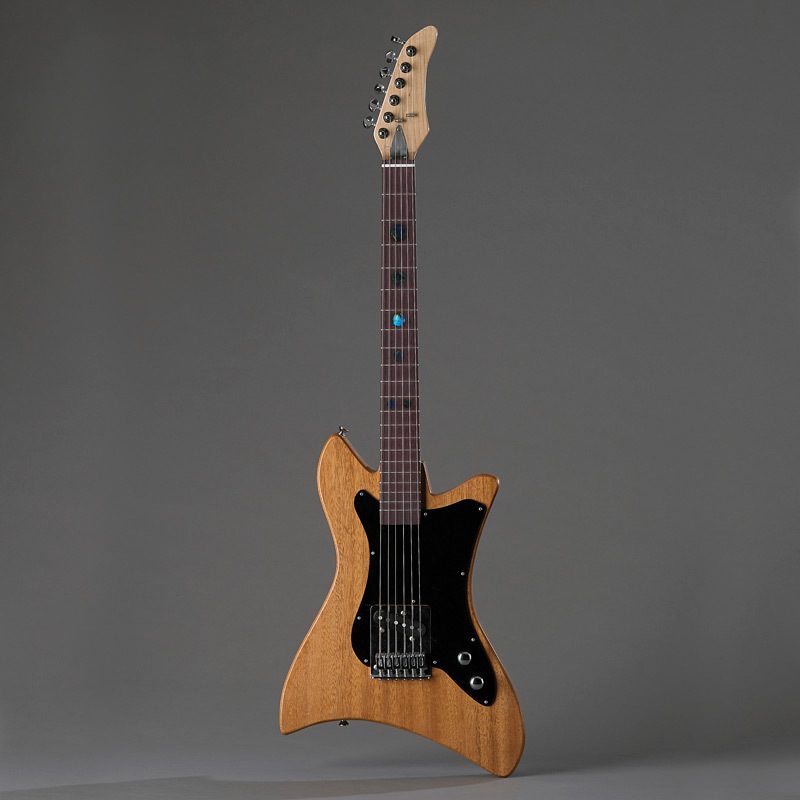 Next steps included rounds of sketches, SolidWorks modeling, and MDF models. 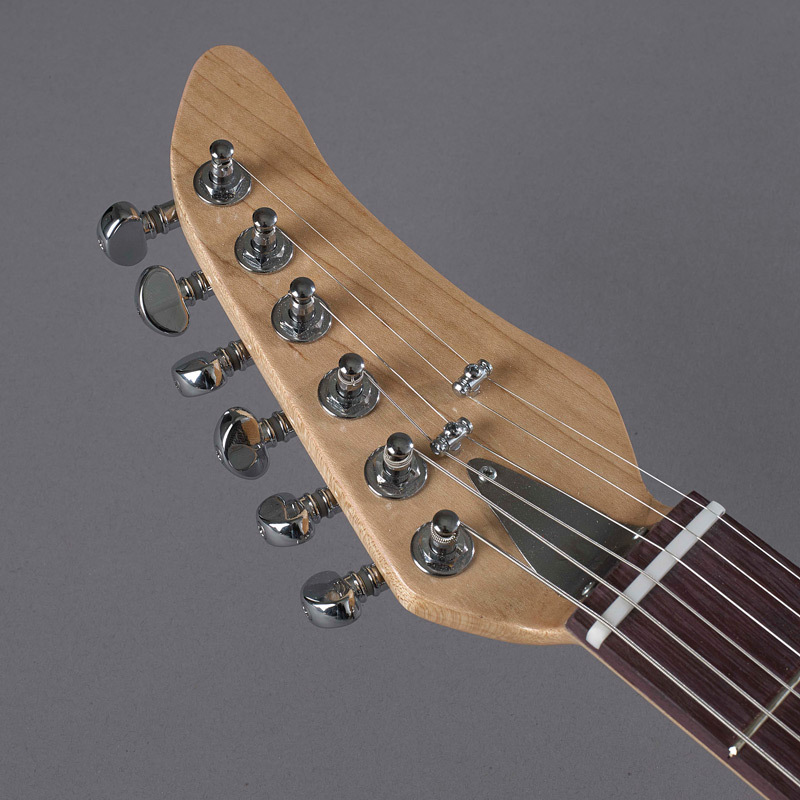 The final guitar is made of various hardwoods including mahogany, purple heart and maple and has great tone quality for a single-coil pickup. 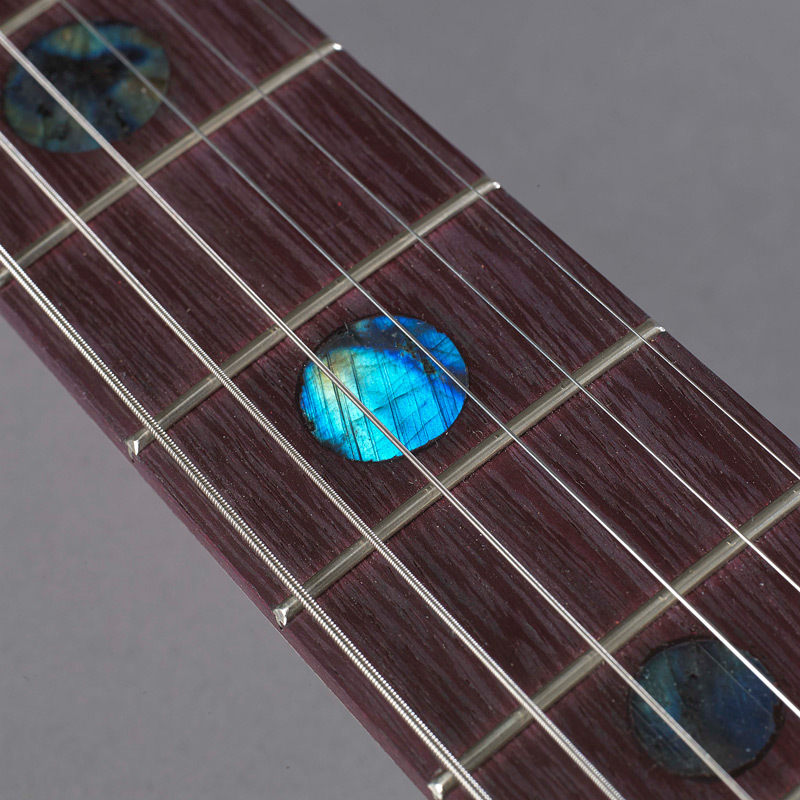 A background in lapidary and jewelry led to the inclusion of inlaid labradorite as fret markers in the fingerboard.